I've been struggling with this for a while now. And I'm just going to say what I feel needs to be said. You see in these articles our self proclaimed 'photographer' that made it big goes on to explain how average she really is, how easy photography is and how she sells her photography to businesses. Frankly she wasn't selling anything. She was giving away her stuff for free in exchange for free watches, sunglasses, or trips to wherever needed promotion. That's not a sustainable way of making a living or making a business work. In the last few weeks 2 of my peers (and friends) contacted me to ask my opinions on emails they got requesting licensing on some of their work. One got an email request from a big tourism company here in Alberta that asked her to hand over all rights of a few of here photographs. It was really not a good contract to sign. We debated it for a bit, I told her the parts I absolutely didn't like (like the non-exclusive, perpetuity, world-wide, royalty free and with freedom of 3rd party distribution with zero-liability parts). And we debated an alternative approach. In the end my friend had a meeting with them and argued that a commission based contract would be a win-win for both parties. Guess who got the job? My other friend got a request in her inbox with a license agreement for non-exclusive usage rights for 3 of her photographs to be used in a calendar that will be distributed in North American (USA, Alaska, Hawaii, Mexico and Canada). But she had nu clue how to price those things out. SO we went over the numbers. Again. Guess who sold her work and will have her work printed in 160,000 calendars? Right you guessed it. You know, when you get requests in like this and you don't know what to do, ask for help. Don't agree on anything else then money. Cash. Dollars. What are free sunglasses or watches worth when you have bills and taxes to pay? Nothing. This is a business like any other so act accordingly. If needed, educate your client just like my 2 friends did. Once explained why you can't work for exposure or free goods, most clients will agree on negotiating a market value for your work. But if you don't ask, you won't get anything. And clients that say 'there's really not a budget for photography' are lying to you. There is always a budget. If they can find that one sucker to do it for a photo credit alone then you just saved them some money. You don't want to be the sucker. Hey, she has 300K followers on Instagram so she must be good right? You see this inexperienced (I'm not saying bad) photographer – trading talent for goods – is a classic example of how the digital world has transformed the way we promote or 'should' promote and market our work to our – potential – clientele. It also has changed the benchmark of how we define success for ourselves (success obviously must be counted by the amount of followers/likes/retweets we get) and the hero-complex that flows out of that. It also shows a shift in how businesses think about photographers (throw some free stuff at them and see if anything sticks). And to top it off, it is also a prime example on the way the masses look at, and have consumed photography over the last few years. You see, social media should be about telling your business' story. Not trying to – as a business – buy your way into someones follower list (like these examples clearly show). That's just dumb, shallow and very shortsighted. Who says my followers are your business's target audience? I've seen it happen too often really. Doing social media 'right' on the other hand is a big and time consuming enterprise for a company that might not yield any profit right from the get go. It's a job that you can't expect easy and instantaneous results of. It takes a lot of time to get the online presence, client interaction and results you desire (read: as in multiple years). And frankly, it is still hard to calculate the real potential value of it all. Very often a whole team of people is behind a brand's social media presence. With real business strategy behind anything that gets tweeted and shared. All of that content is usually being created through numerous creative meetings, weeks in advance by brand strategists. What?! You thought everything these brands do was all a spur of the moment kind of thing? Just like the Oreo's 'Dunk in the dark' tweet during the Superbowl of 2013?! 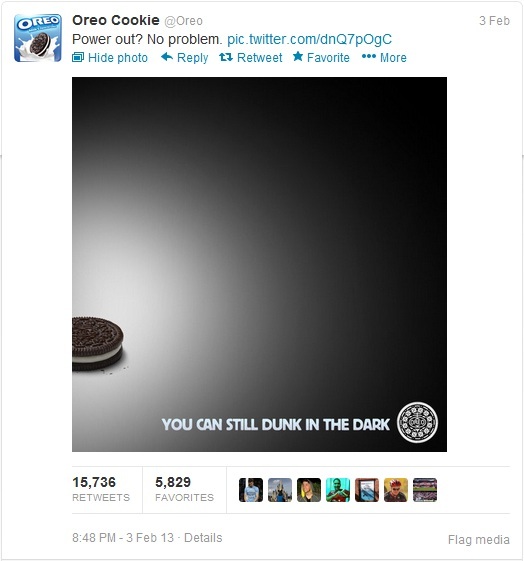 No, that was a quick reaction from the creative team that was responsible for Oreo's social media stream. A very successful and very witty reaction by the way. Stuff has changed let me tell you. Facebook, Twitter, Tumblr, Flickr, Intagram, you name it, they have sucked the life and creativity out of quality photography. We now care more then ever about likes, plusses, reshares and retweets and what not than about the quality of our work. In my opinion, the moment we started worrying about quantity, sharing instantly and how well photo's will do in our circle of followers, we also forgot about what it takes to produce quality work. Essentially what I am saying is we applaud mediocrity. Mediocre work that gets encouraged and gets eaten up by the masses because frankly, they don't know better. They've been brainwashed by the bombardment of crappy work everywhere. Over and over again. Little by little, the general quality of photography is going downhill at a rate similar to technological advances. The easier it is to create photographs, the more crap there's out there, the more the market gets diluted with crap and therefor, the overall quality of work declines. Cream always rises to the top. Don't get me wrong. It is great to see more and more people enjoy photography because photography has become very accessible in the last decennial. Cameras are getting cheaper and cheaper. And almost everyone has a smartphone in their pockets these days that is capable of making good photographs. I get that. And I like that aspect of the photographic world today. The more we are supposed to socialize with each other through these new technologies – technologies that supposed to make us connect – the more we grow apart and become disconnected with the real world. And it's only getting worse and worse and worse. When was the last time you talked to a complete stranger on your bus ride home? No we are far to busy checking Facebook statuses and bury our face in our cell phone all the time. Connecting to a world you say huh? I don't get it. I don't care about your self portraits, your meals, your feet on a beach, your light painting, your steel wool experiments (somebody is going to start a forest fire soon I'd tell you), your dog, another bullsh*t inspirational quote, your life nor your kids. I've tried so many times to something on the blog about this but always failed to come up with something worthwhile. So here it is. Hate me for it. Photography is NOT a thing where we should adapt ourselves to new trends all the time. Trends that proclaim to keep us afloat on a sea of mediocrity. No! Enough of that already. Your work should come from a place that moves you, it should come from your heart and it should show your audience what makes you thick and what you are made of. You absolutely should NOT work with the thought 'will this resonate with my fans?' in your mind. That's just BS. The volatile nature of 'social media' is what makes you believe you should reinvent the wheel every few weeks to stay on top of it all. Again B f*cking S! To me that sounds like a whole community dictating and telling me how my creativity should work (do this, photograph that in this way). Well, I give a big middle finger to that fake 'world' today because I don't photograph for you. I photograph for me, myself and I and nobody else. I have a nice amount of followers on social media. So you can say, I'm part of this problem too. You liked, retweeted and plussed some of my work. But the thing is, I don't consider you my real friends. Sounds harsh doesn't it? It's reality. Deal with it. Many of you send me friend requests on my personal Facebook page for example without the slightest interaction beforehand between the two of us. What gives you the right to even assume I want to be connected to you, a total stranger? I don't know who you are, what you do, nor do I care. Why would I want to be 'friends' with you? A few of you I know personally. And those I know and have met, those are the people that matter to me. The REAL connection with people is what matters. Sadly, these new generations don't get this. Writing that, made me feel old all the sudden. Surround yourself with people that matter to you. People you love, respect, look up to. 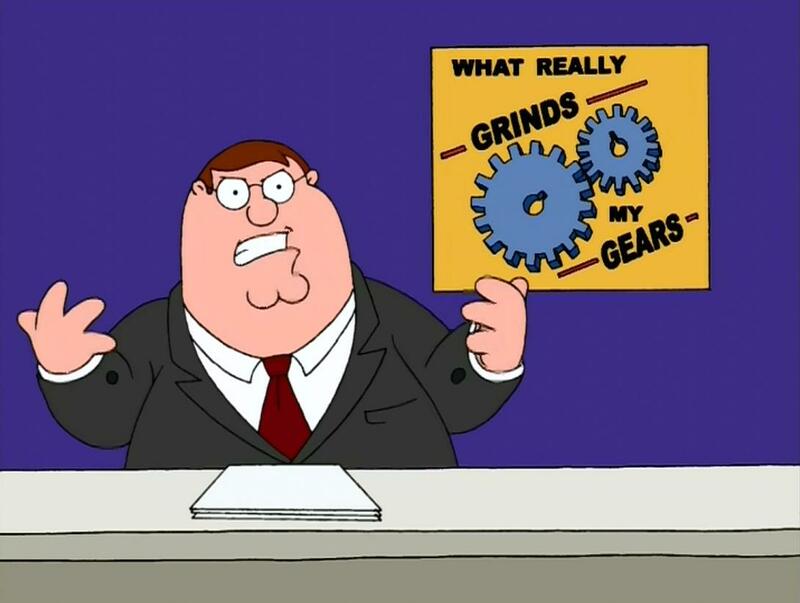 People you feel comfortable asking questions to. Do you like my work? Do you think I can do better? How? What if I do this? How do I price this out? What would you do? How do you approach stuff like this? Let's collaborate! Surround yourself with a group of people that you trust and that you can use as a resource. Surround yourself with people that are genuinely willing to help you. But remember it's a two way street! If your friends ask you to do something for them, ask them how high they want you to jump, and then f*cking jump! There is nothing worse then people that take and take, but never give. Avoid those people like the plague. They are not worth any minute of your time. Also avoid reading blog posts with titles like '20 secrets pros will never tell you' or anything that starts with 'ultimate', 'crucial', 'essential' and any other superlative. It is all marketing bullsh*t. Don't waste your time. Stay humble, accessible and treat everybody with respect and dignity! Nobody cares about who you are and that you have 3 million followers. Or your name and location dropping. Nobody cares about you if you act like a total d*ck. What camera or 'essential' gear you use. And believe me, nobody is interested in how important you think you are because your imagination tells you that 3 million followers, makes you a guaranteed celebrity in the photo world. That is just plain ignorant and stupid. Who do you think you are?! I'll keep preferring meeting people in real life and making real connections that matter instead. Go ahead, believe in your online communities. They are worth nothing in the end. There. I said what I needed to say. I am all zen again.